When an invitation to Edinburgh’s Principal George Street popped into my inbox a few weeks back, to say I was excited is an understatement. The hotel is my favourite in the city, and is the perfect mix of casual elegance. I love it so much in fact, it’s where we headed to celebrate Christmas last year, and I’m an all-too-regular at Burr & Co. Did I mention that they also have an in-house Daschund? As if all that wasn’t glorious enough, the hotel has just undergone renovations to their fabulous Forth View Suite, as well as installing a new Taittinger Bar downstairs. The additions are perfect if you’re in town to celebrate during the festival, and there isn’t a better spot in Edinburgh to view the Tattoo Fireworks! 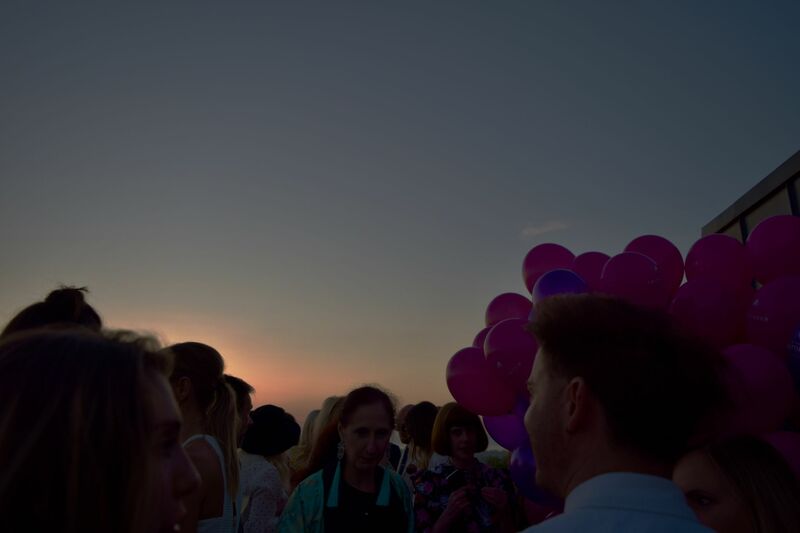 A few weeks back I popped over for a glamorous evening filled with champagne (Taittinger of course) and Scotland’s best bloggers, as we were introduced to new menu items, the stunning new library, where we ended the evening watching the sun set over Edinburgh. It was glorious. After learning about the beautiful new Library (if you’re looking for Edinburgh’s swishes private dining venue – this is it). 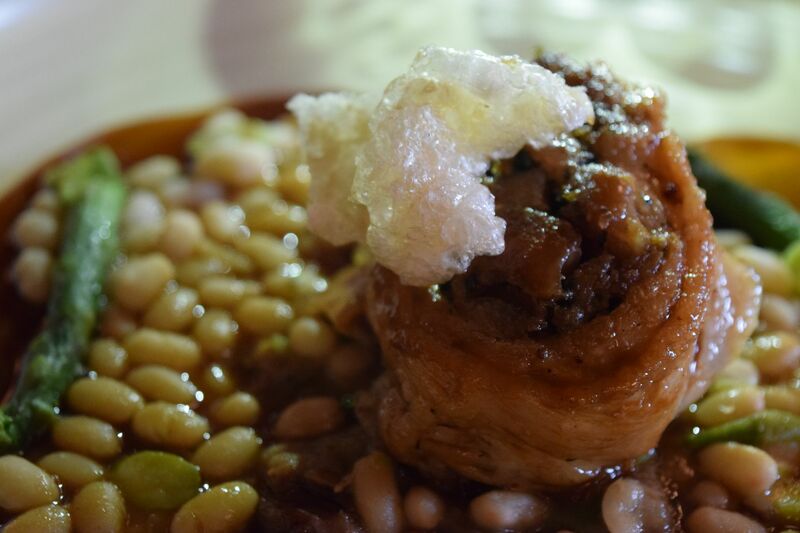 We headed into the Printing Press restaurant, where a banquet of starters were waiting for us. 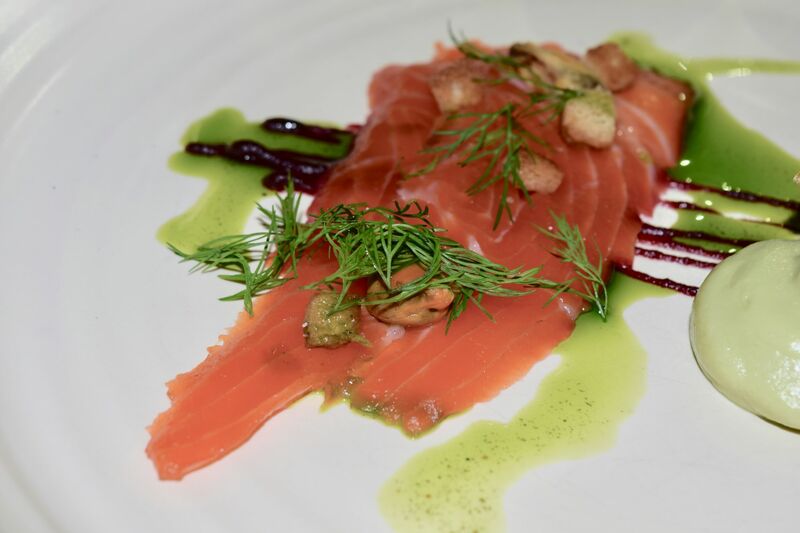 No.25 Gin Cured Trout with pickled mussels, avocado and beetroot was a perfect seasonal dish to start the evening. 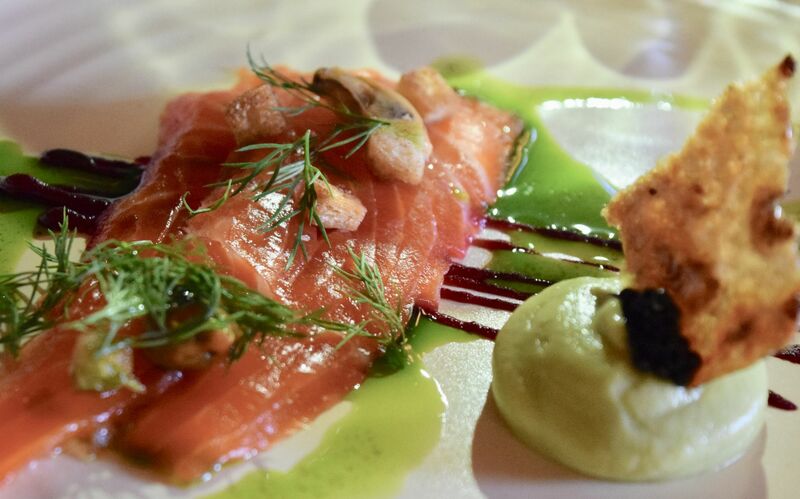 It’s a new dish which features on the summer menu, and the mix of rich trout, fresh dill and creamy avocado was just divine. 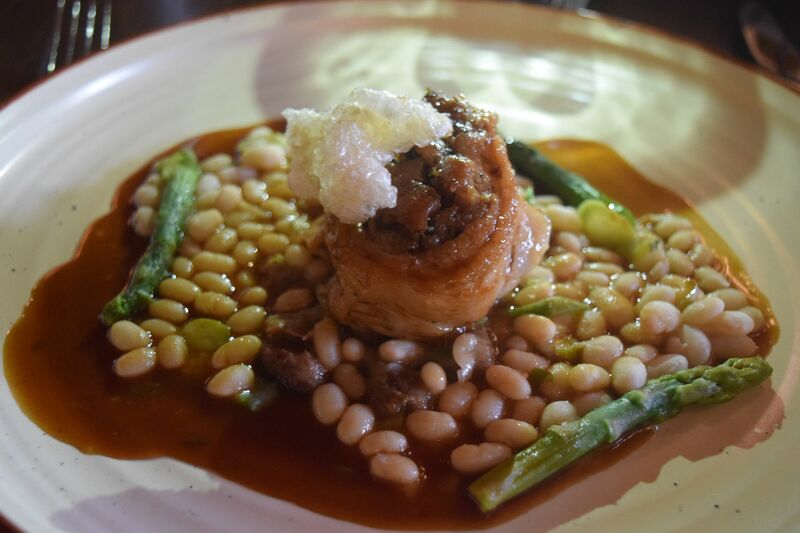 For the main dish, we were able to select from some of the new summer dishes, and I couldn’t resist the Wellington Pork Belly served with asparagus on haricot beans. 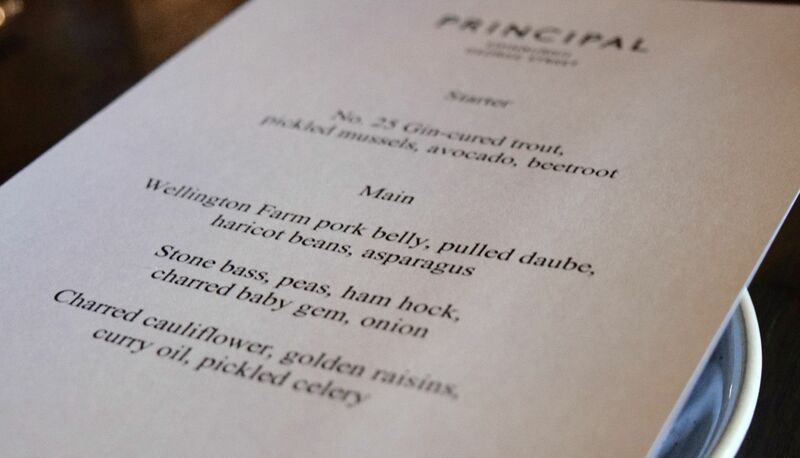 Feeling not unlike a dish to be enjoyed on a Sunday afternoon, the rich pork paired beautifully with the asparagus, beans and savoury gravy. The Printing Press is such a beautiful spot to enjoy everything from breakfast to cocktails, and even if you’re not staying in the hotel, it’s a fabulous place to visit. 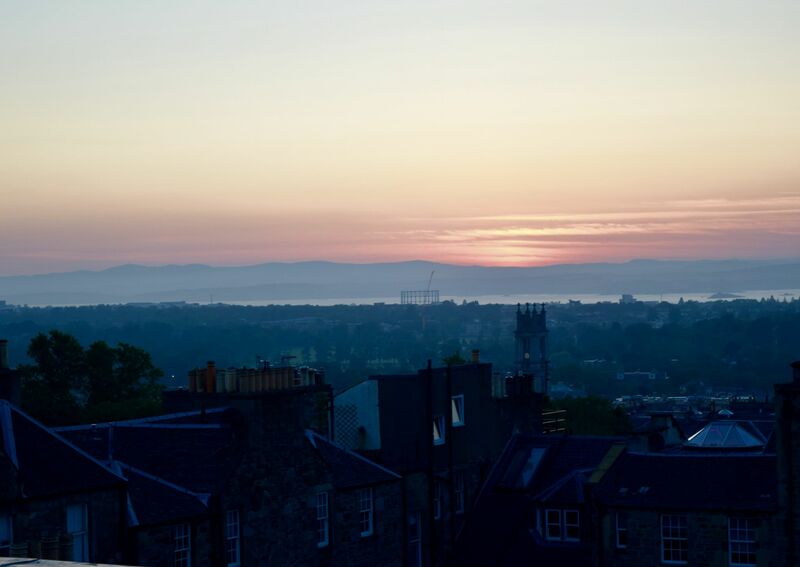 After savouring our meals, we headed up en-masse to fully appreciate the Forth View Suite views. And what a view they have! 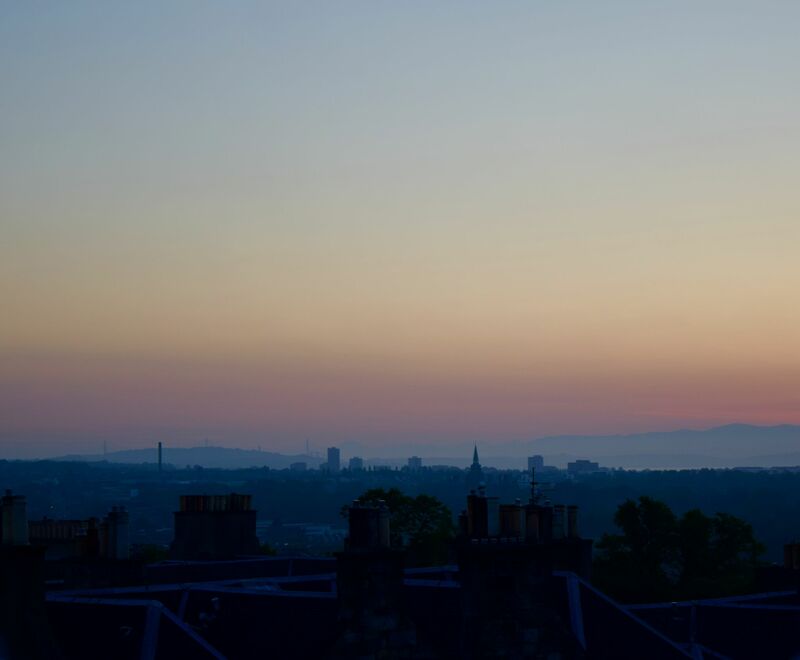 From one end of a wraparound terrace you can gaze over the rooftops to see Edinburgh Castle, whilst the other side has views right across the Forth. 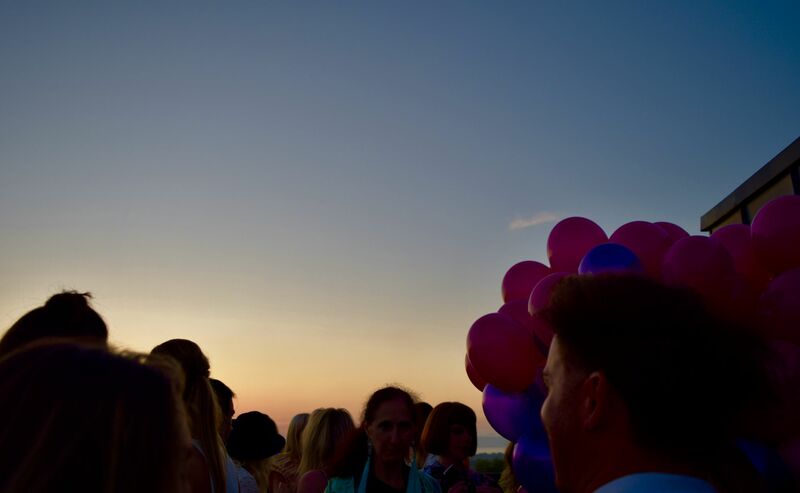 Serenaded by a saxophonist, watching the sunset with champagne cocktails in hand felt like an incredibly glamorous way to end an evening. The good news? 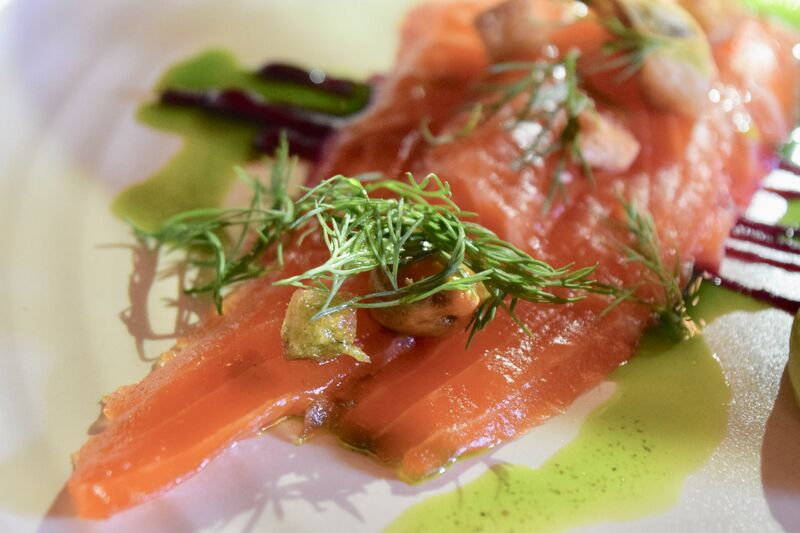 This summer, the Principal Edinburgh George Street are launching a brand new Members Club, which will let you enjoy summer evenings upstairs, enjoying the view. 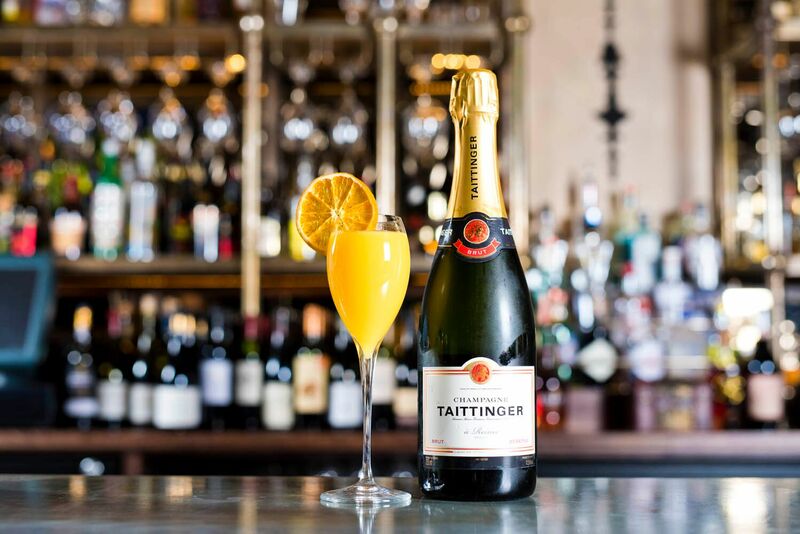 With a new menu at The Printing Press, the fabulous new Taittinger Bar, and of course, the Forth View Suite – there is nowhere better to enjoy summer in Edinburgh! Thank you so much to the Principal George Street for having me – you can find out more about the hotel here.